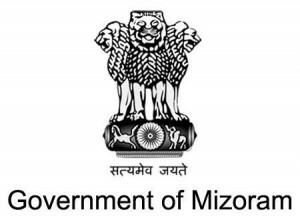 Aizawl, Nov 2 : Mizoram Government has organized a programme to enlighten its officials on eGoveranance. Mizoram Information and Communication Technology (ICT) Minister Zodintluanga yesterday inaugurated the training on ‘e-Governance with focus on its intervention in office management’ organised for officials above Under Secretary, at Aijal Club here. Addressing the officials in the training, Minister Zodintluanga highlighted the importance of information technology, mentioning that just like television is owned by almost every households in Mizoram, so is the case with Computer, and in Government offices too, the old typewriter is now replaced by the Computer. In fact, it is now impossible to work without computer, and moreover in some departments, there is the need to use internet in communicating with the Central Government, Minister added. The Government is now visioning a paperless office by way of Information Technology in near future, ICT Minister said, adding that to fulfill this, Government officers and other workers are important. Minister further said that as technology is developing the government officials also need to stay update with the new trends, and also every departments need to update their websites, and advised to make the best use of computer and internet, for which ICT Department is also always ready for help, the Minister said . Information and Communication Technology Principal Informatics Officer Lalthlamuana gave a report on the initiatives taken by the Department, mentioning that the way is opened up for access of IT in rural places too. System Integrator C Vanlaldika and System Administrator Lalengzuala gave instruction to the officers who participated in the training today.